Bark reddish brown to pinkish brown, breaking up into small scales; leaves compound, with 9-19 elongated leaflets; nuts ellipsoid, encased in shells with 4 sutures; growing east of the Great Plains. 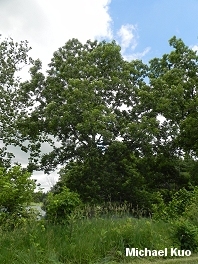 Habitat: Bottomland woods; growing east of the Great Plains. Stature: Up to 100 feet high and 4 feet in diameter (or even larger); with a spreading, rounded crown. 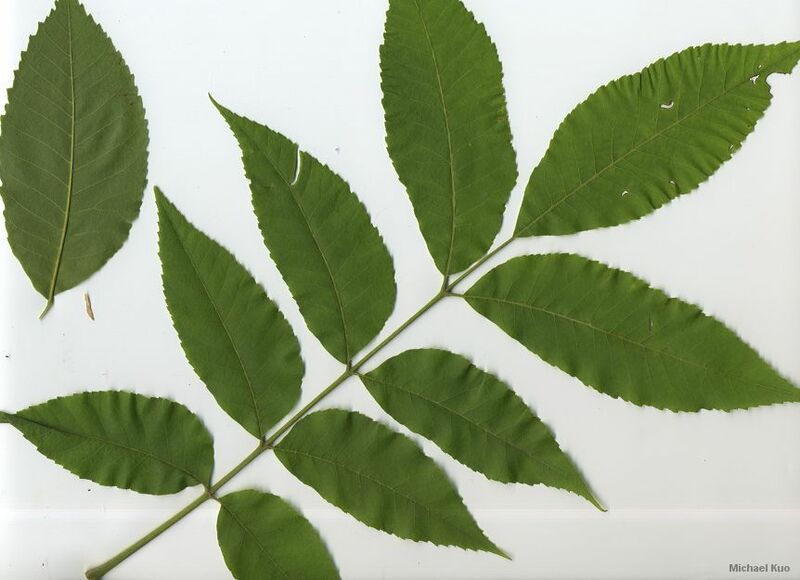 Leaves: Compound; composed of 9-19 leaflets; leaflets shaped like elongated candle flames, doubly toothed, curved and pointed, with the end leaflet up to 8 inches long; dark yellow green and smooth on top, paler and smooth to very finely hairy below. Bark: Reddish brown to pinkish brown; breaking into small scales with maturity. 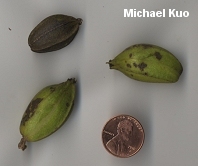 Nuts: Ellipsoid; up to 2 inches long; nut shell thin, with four "sutures"; nut thin and pointed, sweet. 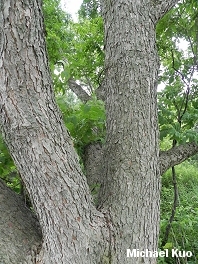 "Carya illinoensis" is an alternate spelling.